NORTH MYRTLE BEACH, SC - Everything you've heard and everything you've read about Tidewater Golf Club and Plantation is true. In fact it may have been understated. The accolades speak for themselves,Top 100 You Can Play, Golf Magazine, 2007 Best Courses You Can Play, Golfweek and the only course ever to be named Best New Course by both Golf Digest and Golf Magazine. 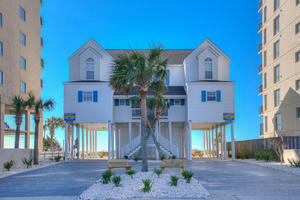 Tidewater is just this year getting ready to celebrate its 20th anniversary. Everything about this venue says character that's usually reserved for much older venues. You're first aware of this club's personality when you enter the clubhouse. Rich dark wood fixtures, a well merchandised pro shop and a friendly staff greets you. The setting provides an excellent view of both holes No. 9 and 18. The bar and restaurant share that same view, so make plans to stay for a sandwich and beverage. The distinctiveness of Tidewater continues to the practice area. A well-marked driving range and large putting green provide space to get loose and find your rhythm. The starters are conveniently located at the range, allowing you to properly prepare without constantly looking at your watch. They'll tell you when it's time. You just get focused for your round. You're going to need that extra concentration. For about six weeks in the summer of 2009 Tidewater was closed in preparation for its 20th season, stated Brendan Hood, Tidewater assistant golf professional. Irrigation was updated; tee boxes enlarged and the entire course underwent four aerifications. Although the winter has been harsh by Myrtle Beach standards, the course is in great shape and should really blossom for spring 2010 golf, Hood continued. The Tidewater community sits on a peninsula that overlooks a saltwater marsh, provides views of the Atlantic Ocean and parallels the Intracoastal Waterway on several golf holes. Many homes that adjoin the course are spectacular, but all are attractive and blend nicely into the setting. Although both the homes and condominiums are very unobtrusive and sit well off the course, the golf course has no out-of-bounds. If a wayward shot finds a homeowners property, players simply take relief. This Ken Tomlinson designed masterpiece harmonizes with its natural surroundings and takes full advantage of what they offer. Discreet elevation changes not prevalent in seaside golf and some spectacular views are important elements of the course. Tidewater Golf Club provides a traditional type layout that requires you to think about every shot and rewards good shot making. Risk/Reward is an important part of the course makeup. Do bring the big club though because Tidewater has plenty of length from every tee box. The Black tees are 7044 yards, the Blue tees 6771 yards, the White tees 6323 yards the Green tees 5734 yards and the Red tees 4648 yards. Wanting to see everything this great course had to offer, we took the challenge from the Blue tees. The course starts you gently with a Par 5 and a Par 4 that can get your round off to a good beginning. A par on each hole is certainly obtainable and a birdie is reasonable for the accomplished player. The next two holes are absolutely remarkable and reveal the character of this wonderful course. The Par 3 No. 3 hole is special. At 179 yards from the Blue tees it played considerably shorter to the front pin location. With a spectacular view of the Intracoastal Waterway on your left, we were hitting into a two-tiered green that is significantly narrower in the front. A shot into the left center of the tier gently rolled into a trap on the left. A shot into the right center of the tier drifted back past the pin and almost off the left side of the green. A shot to the top of the tier left a scary downhill putt that could easily have run off the green. A shot that came up short and in the front trap left a devilish sand shot that had to come up short of the hole, if there was any hope for par. We managed four acceptable tee shots with three hitting center of the green. The result was only one good opportunity for birdie, or even par. Even with a Handicap Rating of 13, you can plan for a bogey to be a good score with this forward pin position. Now that's a golf hole! After aging considerably on No. 3, we continued to the Par 4, No. 4 and its Handicap Rating of 1. This hole combines everything that encompasses Tidewater's spirit. Flanked by the waterway the view is spectacular and the changing elevations make for a wonderful golf challenge. The fairway slopes right to left so a right center drive is required. However, a large trap at the top of the slight dogleg left protects the drive that tries to be overly safe. To the left a steep drop from a narrow ruff places a pulled drive in a waste area that runs the length of the hole. The approach shot is likely made from a hook lie into a green that's downhill and protected by sand on the front. A large sand bunker protects the right front portion of the green patiently waiting to catch anything that's too safe. A pin position on the front part of this green is treacherous and a threat to par. Ironically, two of the holes that really stand out on the back nine have some of the same characteristics as Nos. 3 and 4. No. 12, a Par 3 at 179 yards from the Blue tees is Tidewater's Signature hole. The view is great, but frankly, the tee shot is a little intimidating. Your ball needs to carry the marsh and sand traps that protect the front of the green. You can certainly go left or even over club and go long. However, the green slopes to the marsh making for a very difficult up and down. A front right pin position can be very challenging. Again, bogey is not a bad score for the recreational golfer. Nos. 3 and 4 might be two of the best Par 3s you'll ever find on one course and they might not even be the two most difficult on this course! No. 13 is at the risk of over simplification, just a really nice Par 5. Although not the longest at 529 yards from the Blue tees, it is a classic 3-shot hole. A considerable break on White tee distance may tempt the longer hitter to go in two. Your drive needs to stay in the left center of a fairway that displays those sometimes-subtle elevation changes. A lay-up on your second shot allows a short iron into a green that's well protected by sand bunkers and a collection area on the left. Although not dramatic, the green does slope from back to front. Par is obtainable on this classic Par 5 and a birdie is certainly not out of reach. 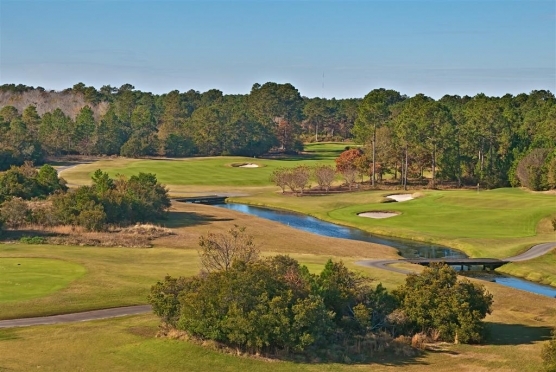 Tidewater Golf Club and Plantation is certainly a premier Myrtle Beach area course. It displays a character that contradicts its 20-years and provides a great opportunity for a wonderful day of golf. The venue provides all the elements that are inherent in a world-class golf course. You must think your way around the course using accurate shot making and occasional length to be successful. However, do be aware that just like any great golf course, Sunday pin positions will always present a challenge. Definitely add this one to your must play list. It's permanently on mine.